Anthony Battel in Warrant Officer Flight School. 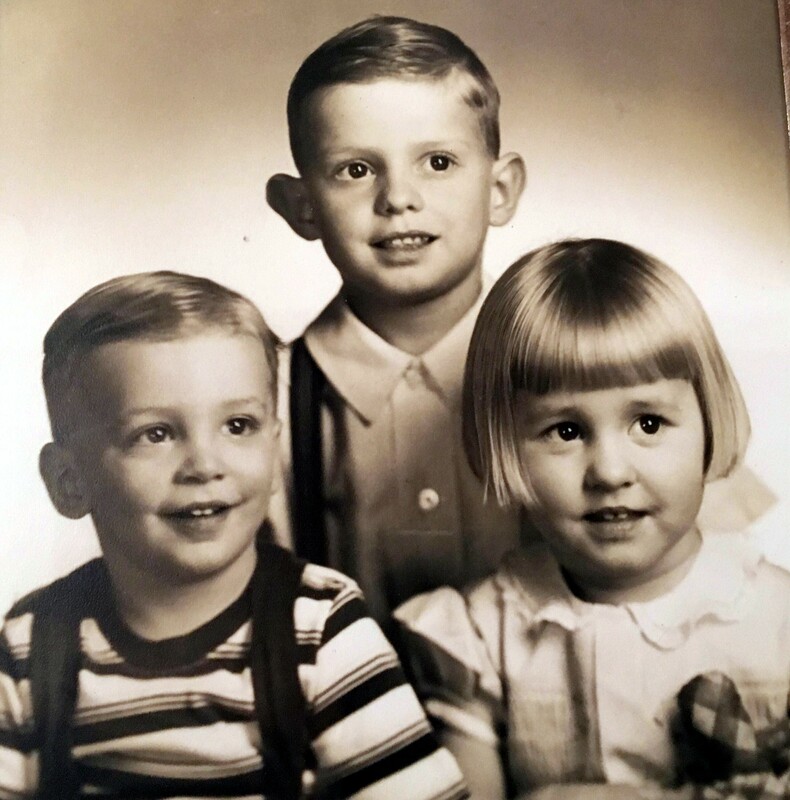 Anthony with his Older brother Bruce and younger sister Elsbeth. These photos were sent to me by Elsbeth. Thank you so much. 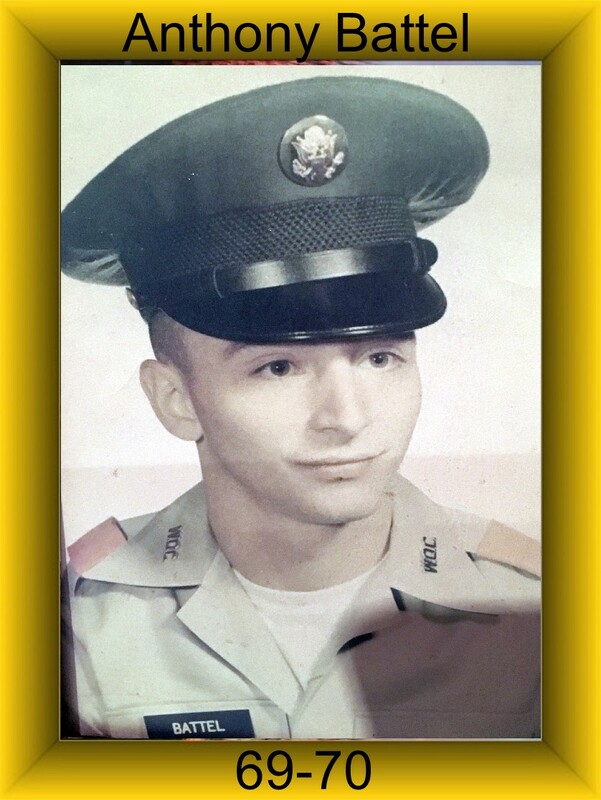 Anthony was assigned to Charlie Troop on August 10, 1969 and was Killed in Action on January 28, 1970. Anthony was a Pilot of a AH-1G Cobra Helicopter. Anthony was awarded the Purple Heart, Good Conduct Medal, National Defense Service Medal, Vietnam Campaign Medal, Vietnam Service Medal and a set of Army Aviator Wings. I am writing you about my best friend, Tony Battel, who I grew up with from kindergarden till he died in Vietnam,1/28/70, at age 22. I am 61 now, & was in my senior year of college when I was devastated by the phone call telling me of Tony’s death. Tony had dropped out of college to join the Army. He was a great GREAT guy. He stopped by to visit with me before being deployed to Vietnam. He took out a $5 bill from his wallet…ripped it in half…& gave me one half…telling me to put it in my wallet & when he returned from Vietnam…we would tape it together & buy a “case” of beer & celebrate. He said that he had excelled in “basic training”….& was all excited about being a Huey Cobra pilot. We promised to write each other, & I wished him well. While he was stationed in Vietnam, he surprised me by writing me letters once or twice a week. I did my part & wrote right back. He was very very proud of: C-Troop, 1st Squadron, 9th Cavalry. I understand the comradery there was “stronger than family.” He spoke so highly of his buddies in the division. I have lost a lot of friends & family over the years, but I’ve never really gotten over his passing. Tony was the only natural born child of his parents. (He had an older brother & sister who had been adopted). His death destroyed his mother ( a sweet & wonderful woman), & she was never the same. His father was a stoic-type who never showed much emotion…but you knew that this took the wind out of his sails. We grew up in a small town in northern New Jersey (Oradell) where they changed the name of a street to “Battel Place.” to honor him. I now live in Oakland, Ca., with my wife & have 2 daughters….& still think of Tony all the time. Today, I was watching a TV program…. a “behind the scenes, never before seen” footage of the Vietnam war. & I went to the internet …& googled his name. I found the page that you posted commemerating his service in Vietnam & his passing. (Kurt entered Tony on The Wall and paid him tribute). THANK YOU FOR DOING THAT for him. NOW.. I was able to also find out HOW he died… His Huey got shot down & I think it inferred that he & his helicopter burned. He must have died right away. no chance for medivac.